Believe it or not there was a time not so long ago when you didn't really see vanity units in bathrooms; but things have changed! Posted By Rob, 12th May 2017. 3 Minute Read. ● So what styles are popular? Vanity units. Those bathroom cabinets which combine storage with a basin. Convenient, stylish, and practical it’s not hard to see why they’ve really caught on in recent times. But why are more and more people beginning to shun more conventional basins and turning to these alternatives instead? Well, in this Victorian Plumbing guide we’ll explain what’s so great about vanity units, and why they’re now one of the most popular bathroom upgrades you can buy. If you mentioned the words ‘vanity unit’ to someone a few years ago you most probably would’ve been met with their ‘what’s that then?’ face. Now though, it’s a very different story. We’ve been noticing a large rise in the number of bathroom projects which now feature these products. There are numerous reasons as to why they’ve become must have items, and we reckon one of the main ones is due to how versatile they are. No matter if you have a large bathroom or perhaps a smaller second bathroom that needs some attention, there will be a vanity unit that will suit the amount of space you have as well as the general feel of the room perfectly. For example, you can get gorgeous double basin units which are absolutely perfect for couples or large families as they eliminate the need to wait for your turn to use the sink; while wall hung vanity units are usually a little more slender and will free up valuable space in more compact rooms. Another reason is that there are an abundance of styles out there to pick from. You can literally find units to match every colour scheme or bathroom décor you can think of, so regardless of whether you want that classic period look or an ultra-modern example you’re not going to be short of options. Vanity units are also relatively affordable, so this makes them an attractive way to update the look of a bathroom. We love items like this because they often look much more expensive than they actually are, so you can give the room a designer edge without entering your overdraft! The practical nature of these products allows you to neatly organise all your toiletries (and hide those unsightly half empty shower gels that are clogging up the windowsill!) so they aren’t just there to look pretty. 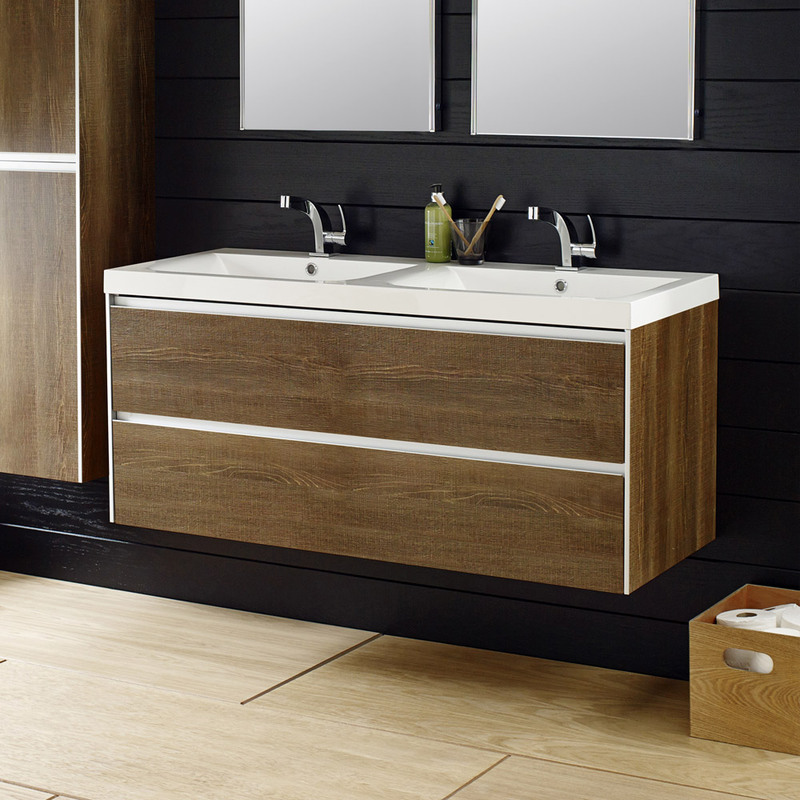 In a nutshell the reason why vanity units are so popular right now is because they offer something for everyone. So what styles are popular? Double sink vanity units, also known as double basin vanity units, are one option which is quickly gaining popularity. They not only look fantastic, but as we mentioned previously they are excellent for large families or couples as they make things much more practical due to their ample storage space and the presence of two basins. The benefit with wall mounted units is that they are a great way to save space. This makes them ideal for smaller settings such as en-suites or cloakrooms as their compact designs won’t dominate the surroundings. With so many choices out there when it comes to colours for things like your tiles and accessories it’s hardly surprising that matching vanity units are becoming the thing to have. 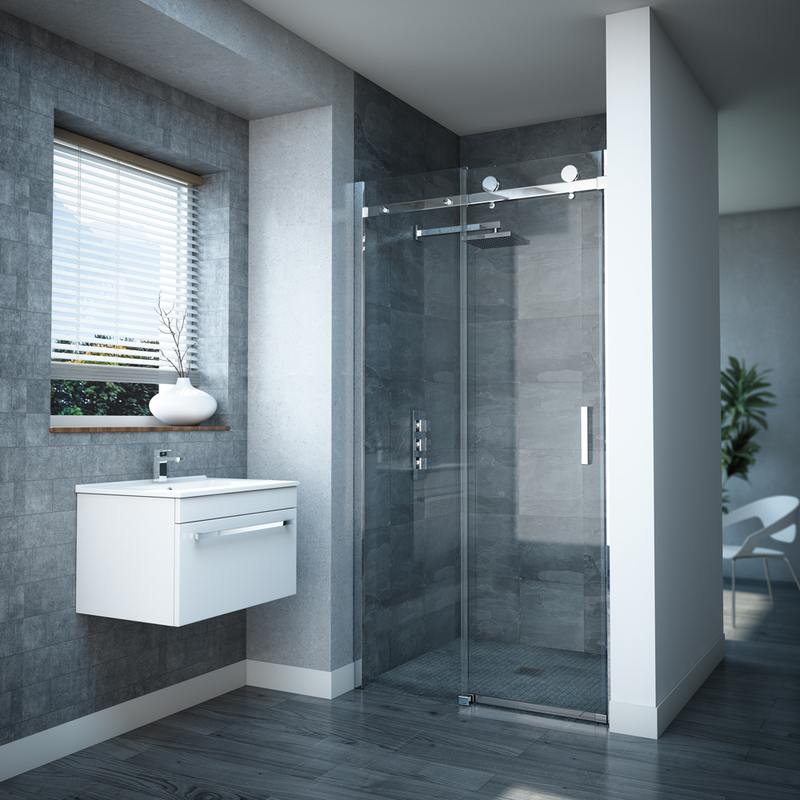 The advantage designs like this have over other alternatives is that they allow you to give your bathroom a much more harmonised feel. 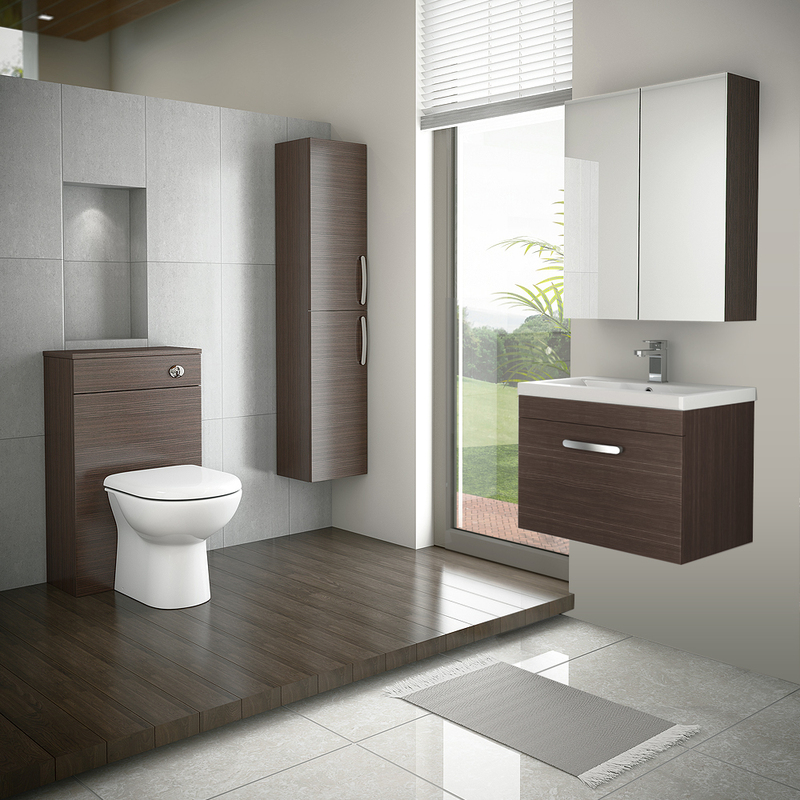 So there you have it; the fool-proof way to make your bathroom right on-trend is to go for a vanity unit. Want to know the best thing about them? They’re not going to look dated in a few years’ time unlike plenty of other upgrades so you won’t need to rip your bathroom out and start again anytime soon! Thanks for reading. We've been baking cakes for charity - Take a look at some of the brilliant creations the team managed to come up with! 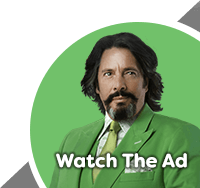 Introducing Jeff The Dancing Disco Dad - Our New TV Ad!